RV dealers get a bad rap — deservedly so in some cases. While most RV dealers are honest and want only to make you a happy customer, we’ve all heard the horror stories. These RV buying tips can alleviate a lot of anxiety. More importantly, if you follow these tips you will be more confident and stand a better chance of negotiating the best possible deal. These days, buyers have more bargaining leverage than ever before. Online resources like forums, email groups and websites can help you narrow the list of what type and size RV may work best while providing a reasonable price range as well. All the different types of RVs have their merits, but you have to look at a lot of them to see the differences. Plan to spend several weekends visiting RV sales lots before you commit to buying. At first look at all types and sizes of RVs. 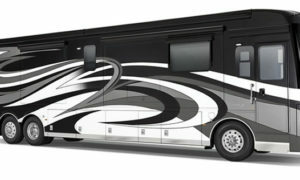 Over a few weekends you will begin to get a feel for the size and type of RV that best suits your needs. Take lots of notes and even pictures to help you remember what special feature or floor plan each of your favorite RVs had to offer. It’s okay to ask the price of an RV to get a feel for value, etc., but don’t get into negotiating prices at all… just tell the salesperson you are only there to look. 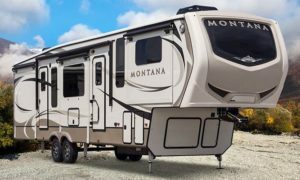 Once you have a good idea what size and type of RV you are looking to buy, print out the prices and specs you find online. That way, when you go back to the dealers, you’ll have a solid baseline for dealing with salespeople. Ask the salesperson for his or her very best offer and compare it to other prices you’ve found online and from other dealers. If it’s in line, then you can begin negotiating the final price. If you are planning to have expensive extras like a satellite dish, solar panels, a washer/dryer etc. added to the new RV, the price for each item, including installation charges, should be negotiated separately before added to the price of the RV. It’s important to stay flexible on specifics such as brand, size and floor plan when you’re first starting the negotiating process. Having your heart set on one specific RV will limit your leverage with the salesperson. Before hitting the sales floor determine how much you can afford to spend each month. The general rule is that a RV payment should run no more than 12 percent to 15 percent of your after-tax monthly income. If a trade-in deal sounds too good to be true, it probably is. If you have a travel trailer that’s worth $2,000, and they offer you $4,000, you ought to be wondering why. 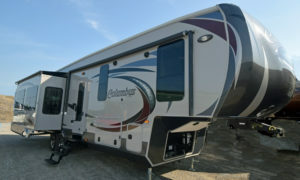 What they may do is find a way to add the trade-in cost to the price of the new RV. What that means is that a few years from now, when you want to trade the RV in, you may owe more on the loan than the RV is worth. Dealers sometimes add line-item fees to the new RV invoice for ‘pre-delivery prepping’ etc. These charges will go unnoticed unless you review the invoice carefully. One way to avoid being pushed into a deal you can’t afford, or don’t want, is to bring your spouse or friend along to the dealer. Even if he or she isn’t especially adept at negotiating, you can play good cop to your partner’s bad cop, should the need arise. It’s good to have somebody who can say, ‘we’re going to take a break and think this over’ and to be able to hash over the issues. Two sets of ears and eyes are better than one. Above all, it’s important to remember that it is okay to walk away from a negotiation. It’s amazing how a willingness to walk away gets conveyed to the salesperson without having to say anything and how that increases your bargaining power. Even if you’ve invested several hours in hammering out prices and financing, if you don’t like the end result, leave. It’s your money at stake, and there is always another deal. Les Doll’s Used RV Buyer’s Guide With this guide you will learn exactly what to look for and especially what to look out for when shopping for a used RV. 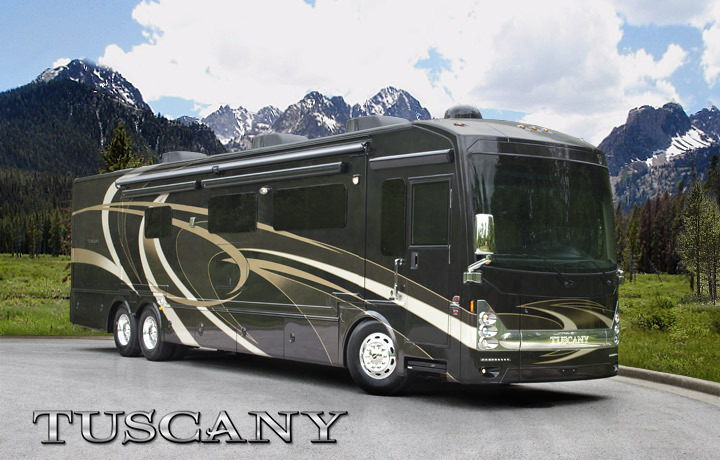 The very best time to discover the faults of an RV is before you buy it! Click Here!